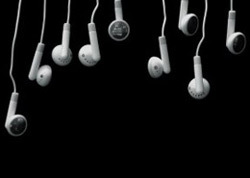 Finding a decent set of earbuds for your ipod or other mp3 player is not difficult. It can get a bit complicated though when you want to find some noise cancelling earphones. You can find cheap or expensive options, find models labeled noise blocking rather than noise cancelling and read claims that make noise cancelling seem like the best thing since sliced bread. Are these claims credible? What is the difference between high versus low priced options? How exactly does noise cancelling work? Since we have been paying attention to this segment of the earbud market for a few years we thought it would be useful to answer these and other questions you may have about noise cancelling earphones. To get started you should know a little about the technology and terminology. Noise cancelling versus noise isolating. Most earbuds fit snugly in your ear and block the opening to your ear canal. This alone is a somewhat effective way to block at least some noise. By definition it is a noise isolating mechanism. 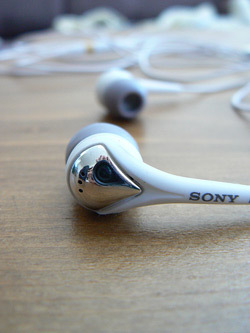 Earphones that are marketed as noise isolating are manufactured with extra attention to how snugly they fit in your ear. Most of these models try to seal off your ear canal more thoroughly by extending the earbud into your ear canal. Noise cancelling, on the other hand, is not an inherent feature of all earbuds. The technology and idea behind noise cancellation is to produce sounds that cancel out external sounds that are reaching your ears. Noise cancelling technology works best with steady low frequency noises. Things like a jet engine or the white noise traffic sounds you hear in a house that is next to a busy street. Voices, inconsistent sounds and many higher frequency sounds are handled better by blocking the noise out. Probably the best deal is to get a pair of earphones that have noise cancelling and are also good at noise isolation. By having both you can effectively block more noise than having one or the other. Ideally this is what manufacturers of noise cancelling earbuds should do when they design their products. Let’s take a look at a few different popular models and see how well they perform. This will help you to see what some of the options are and also learn more about earphone technology. We will start at a low price point and move up to the higher end of things. Noise isolating earbuds are included here (and you can also jump to a post on this site that discusses some quality mid priced noise isolating earbuds) since they are a viable option for many people that are looking into noise cancelling earphones. My only experience with this model consists of being skeptical that such a low priced option is a good choice. Reviews of these $ 30 earbuds appear to bear out my wariness. While the JVC’s have all the requisite equipment they do not appear to do much more than block some noise through noise isolation. Trying to manufacture complex mechanisms and technology on the cheap often does not work out so well. This model appears to bear out the fact that noise cancelling is something that requires careful engineering and an attention to details that you will not find in earbuds that cost $30. You would probably do much better to purchase something like these…. 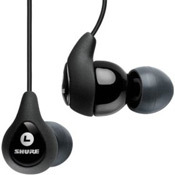 These shure earbuds do not have active noise cancelling and cost $20 more than the JVC earbuds. Yet they do a good job of passively blocking out external sound. The downside is that the fit is not great for some people. Decent sound quality, a snug fit and great reviews from most people that comment on them. I have not used these myself but if I was shopping in this price range (~ $100) this would likely be my choice. On the other hand if you have a bit more money burning a hole in your pocket and you are an audiophile that values high fidelity sound…. If you want superior sound quality and the elimination of environmental noise these high end Shure earbuds are among the best. This model highlights what is probably the most interesting point about noise cancellation versus isolation of sound. At least for earbuds, really good noise isolation is often a better choice if you want to eliminate all of the environmental sounds. Why then would anyone consider noise cancellation? A person flying a lot that wants to drown out jet engine noise may find noise canceling works just fine for their needs. This could also be true for a person that works in a production environment where there is a lot of low frequency background noise or any other situation that an ideal fit for noise cancellation to work well. Another viable choice for someone wanting a high end set of earbuds are the Bose QuietComfort 20i Acoustic Noise Cancelling Headphones . 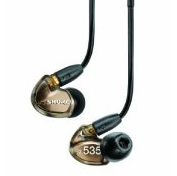 As far as the higher end Shure SE535’s, unfortunately $400 is not something most people would consider spending for earbuds. If you do have the cash though these are a great product. Their sound reproduction is really nice. Maybe half of that is still a little pricey, but more affordable for some highly rated good earbuds – Ultimate Ears TripleFi 10. One caveat you need to be aware of though – if you have an mp3 collection that is composed of digital files recorded at lower end bit rates, the quality of these recordings cannot be made up by the use of a great sound reproduction system. It is important to know what you want your earbuds for. Buy the best technology for the money you have to spend. If you will be flying noise canceling earphones would be useful. If you need to block sounds like voices or something other than a low frequency constant sound then noise isolating earbuds may be a better choice. If you want the best sound quality, the best environmental sound elimination and money is no object, you can’t go wrong with the Shure 535’s.